Halloween is by far my favorite holiday. From decorating to entertaining and even the joy of trick or treating, everything truly makes me smile. Over the years, we have celebrated the days leading up to Halloween by visiting our local corn maze and haunted house as well as creating crafts that we will save to use again and again. 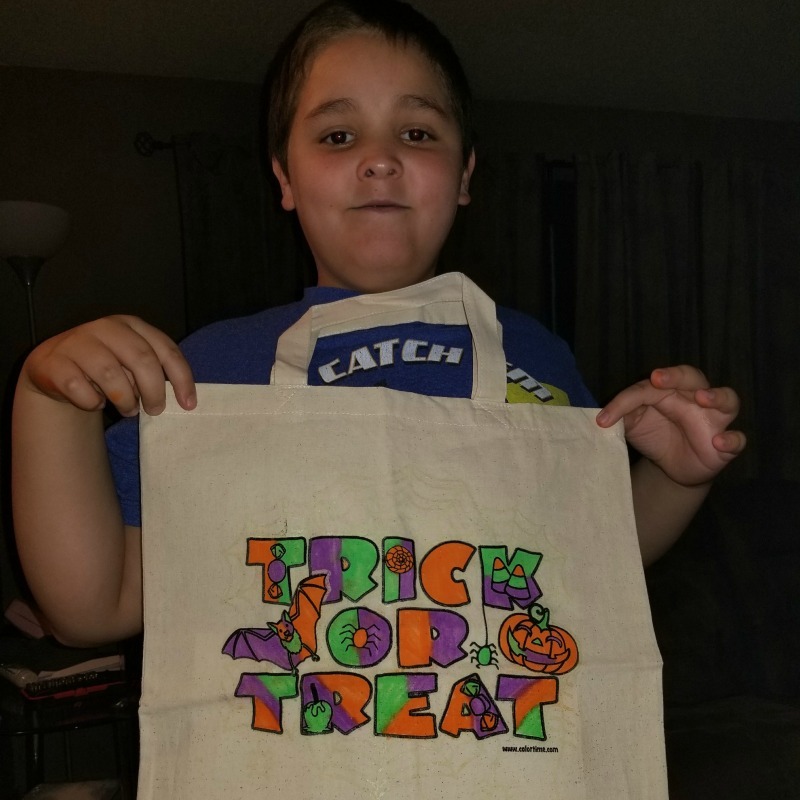 This year, my son wanted to make his own Trick or Treat bag. something unique and all his own. 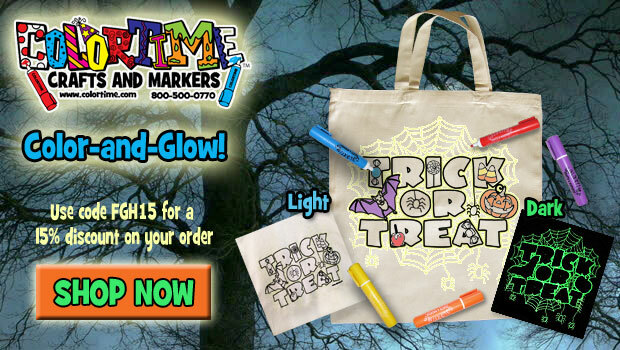 We found this really cool Halloween design from Colortime item that would not only create something fun and spooky but also the ink magically glows in the dark! 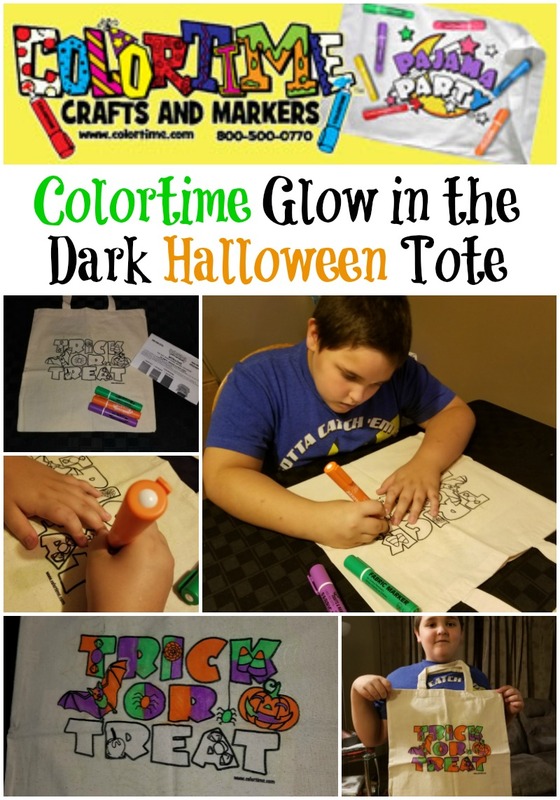 This tote bag’s design is made with ink that glows in the dark, but if you want to further enhance this special feature color this 15″ X 16″ (Full size) Halloween craft project with Colortime’s permanent fabric markers! 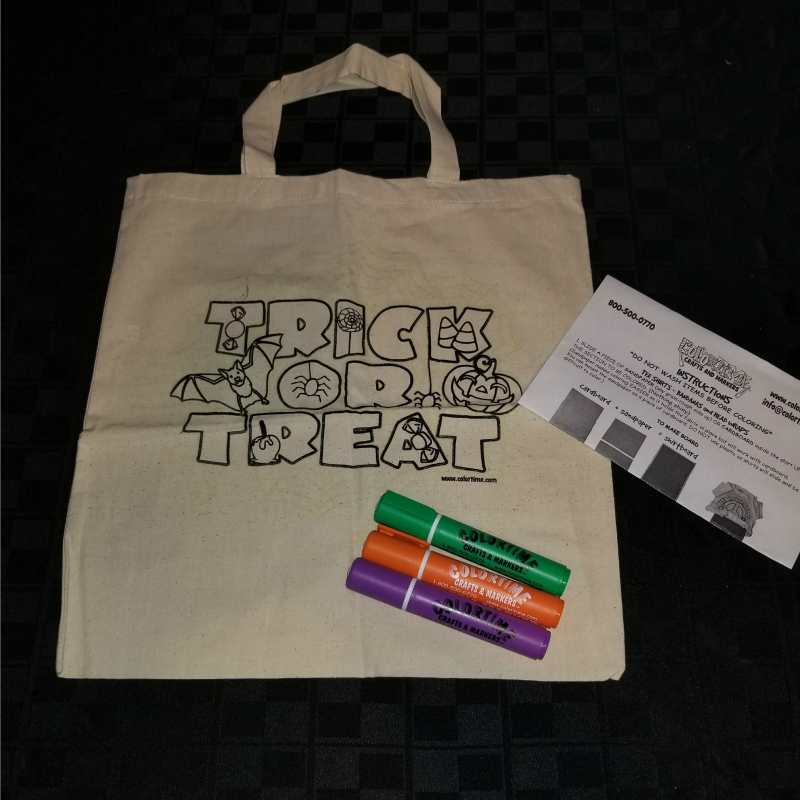 Note the markers are not included with the bag and need to be purchased separately. Though they are a great buy at $2.35 each and can be used on other projects like tee shirt design long after the holidays have past. 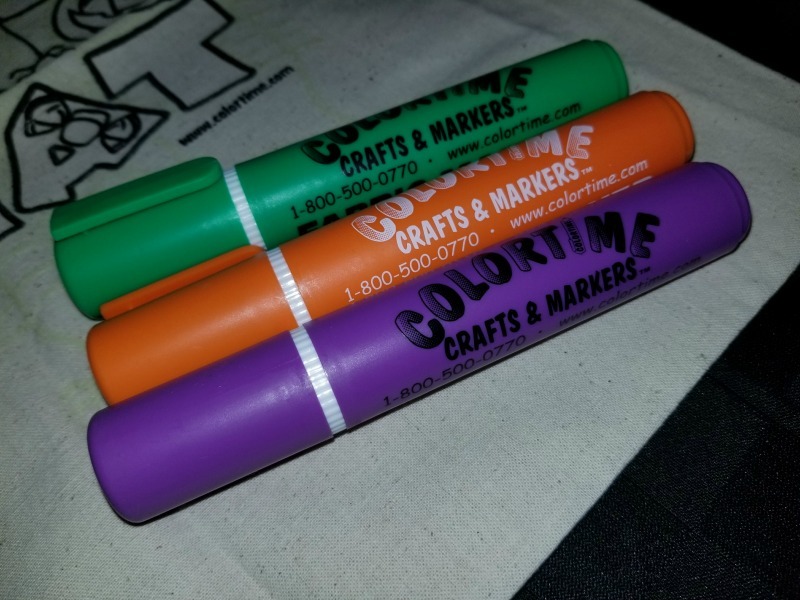 DEAL ALERT: Click On the Banner Below for the Latest Online Special offers and promo codes to Colortime Crafts and Markers!